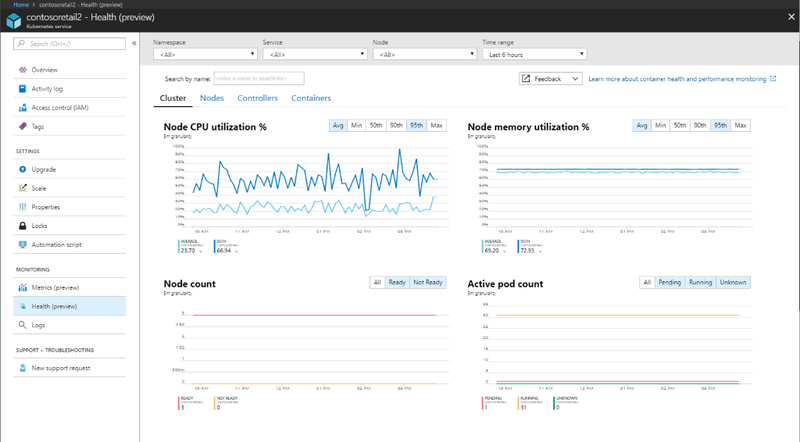 We released a public preview of the Azure Monitor container health monitoring capability at the //build conference. 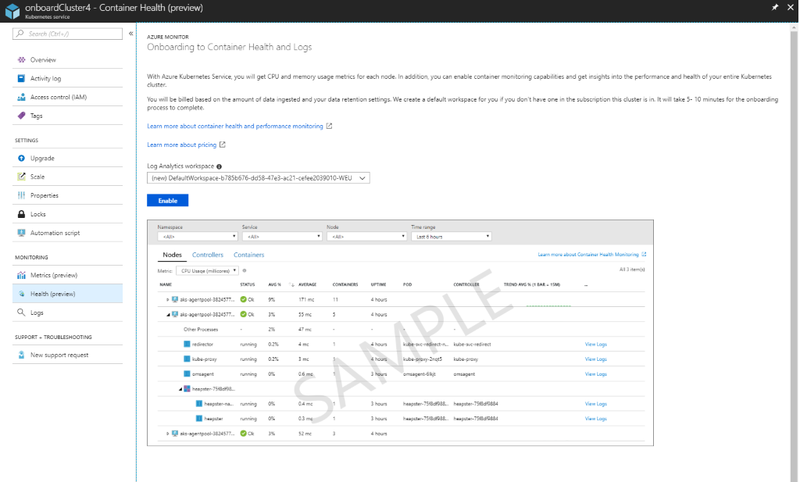 The Azure Monitor container health capability enables you to track the health and performance of your Azure Kubernetes Service (AKS) cluster. Based on customer feedback, we're releasing new features and updates to onboarding and the portal experience. If you have any questions or feedback, please contact ASKCOIN.